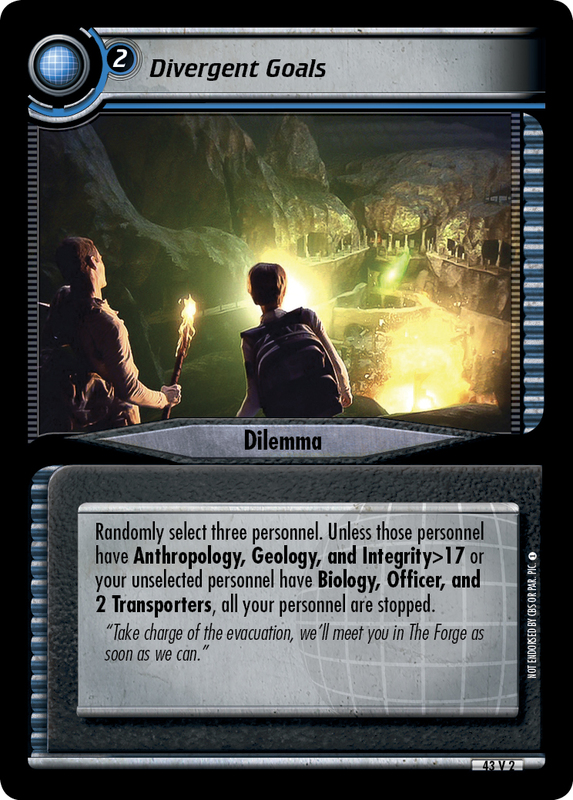 Unless you have Archaeology, 2 Security, and Cunning>32 or 3 Engineer, Navigation, and Physics, all your personnel are stopped and this dilemma is placed on this mission. 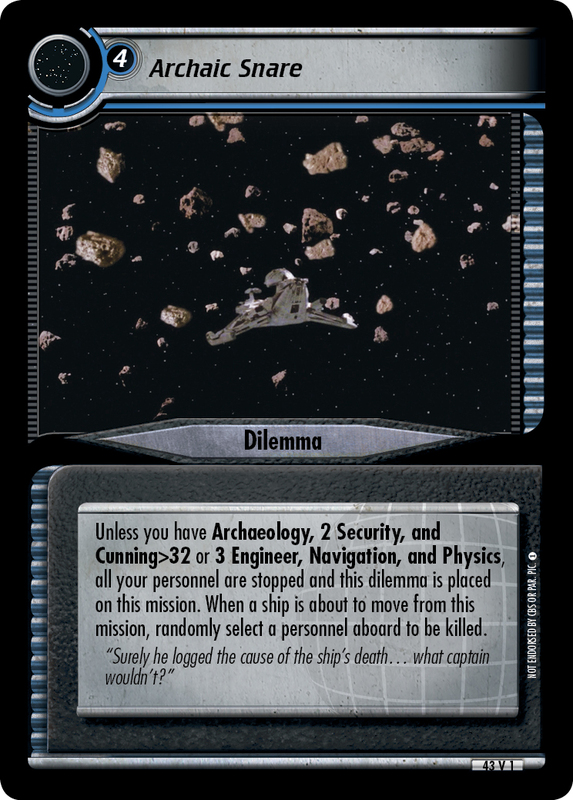 When a ship is about to move from this mission, randomly select a personnel aboard to be killed. "Surely he logged the cause of the ship's death... what captain wouldn't?"